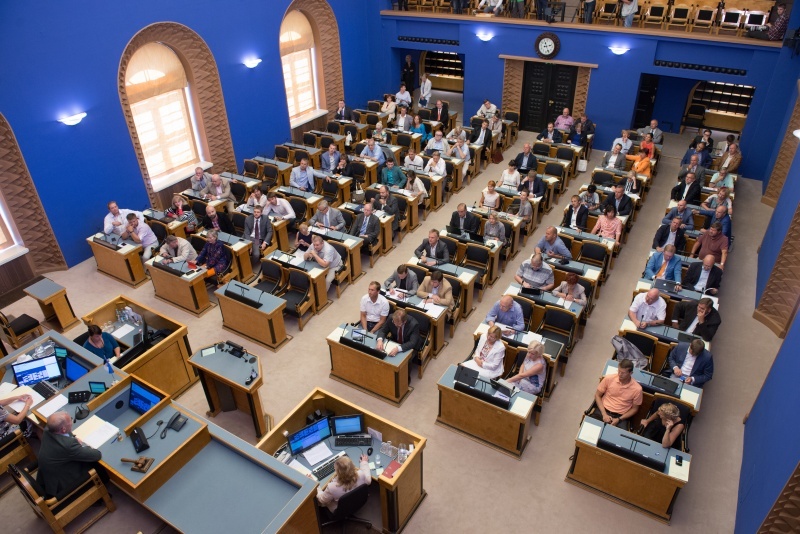 The Bill on Amendments to the Social Tax Act, initiated by the Estonian Conservative People’s Party Faction, was not supported by the Riigikogu at today’s sitting. The Bill on Amendments to the Social Tax Act (253 SE) provided for extension of the range of people for whom the state would pay social tax. The current provision of the Act under which the state pays social tax for non-working parent who is raising three or more children below 19 years of age, at least one of whom is 8 years of age, was intended to be amended by including all children of a family with many children until they attain 19 years of age. Martin Helme, who took the floor on behalf of the initiators of the Bill, pointed out that the Bill is necessary to extend the range of people for whom the state would pay social tax. “The aim is to create economic security for families with many children so that the state would take more special care of raising children in families with many children. The parent who wishes to stay home with the children and commit himself or herself to raising children could do so in a more secure environment,” he said. “This means that if a parent has adult children at home, the state will practically pay social security contribution for him or her, that is, the parent will have health insurance. While at present this applies only to children of up to eight years of age, in the future it would apply until the children become adults,” Helme said. Helme pointed out that the declining birth rate and population are the greatest problem in Estonia today. “As a result of that, the population is ageing and the reproductive potential is falling,” he said. “To solve this problem, a package of measures will have to be used that would make the whole tax system and the benefits system fairer, and would take into account the contribution that is made to the society by raising children,” the speaker added. Helme also pointed out the impact of emigration. “The section of the current Act covers about 1500 people, and its state budget expenditure is roughly two million euro. According to the calculations of the Conservative People’s Party Faction, the range of people would extend, – roughly, be doubled, – and the additional expenditure would remain between 1.5–2 million. In total, there are 17 443 parents in Estonia who are raising three or more children of up to 19 years of age,” Helme said. He called on everybody to support this Bill. Urve Tiidus, who took the floor on behalf of the lead committee, gave an overview of the discussion that had been held in the committee. She said that the committee had heard also the Government’s position on this Bill, and pointed out that the Government had decided not to support the Bill. Tiidus pointed out the reasons why the Government did not support the Bill. “The first reason was that the impact on the state budget would be greater than has been predicted in this Bill,” the speaker said. “As regards social impacts, the Government’s position is that too little analysis has been done. In the opinion submitted to the Finance Committee, the Government of the Republic notes that the Bill would facilitate long-term absence from employment in the case of parents who raise children, and would thereby reduce long-term subsistence of families with children,” Tiidus said. Tiidus pointed out that the Finance Committee had also focused on issues relating to employment. “It was discussed what impact the Bill would have on stay-home parents in terms of returning to work, and how all this would influence the flexibility of the labour market. The opinion was expressed that the Bill would complicate return to the labour market, and maybe reduce the motivation to return to the labour market,” she said. Tiidus added that the committee had also touched upon the differences in predicting the financial impact. She pointed out that the Finance Committee had proposed to reject the Bill. Mart Helme from the Estonian Conservative People’s Party Faction, who took the floor during the debate, proposed not to reject this Bill, and Mihhail Stalnuhhin from the Centre Party Faction said that they support this Bill. The lead committee moved to reject the Bill at the first reading. 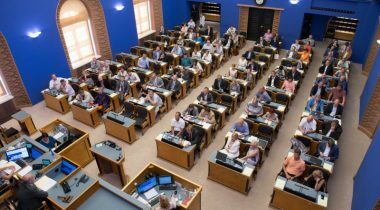 48 members of the Riigikogu voted in favour of the motion, 22 voted against, and there were six abstentions. Thus the Bill was dropped from the proceedings of the Riigikogu.